This modular flower is quite popular and is simple to make. 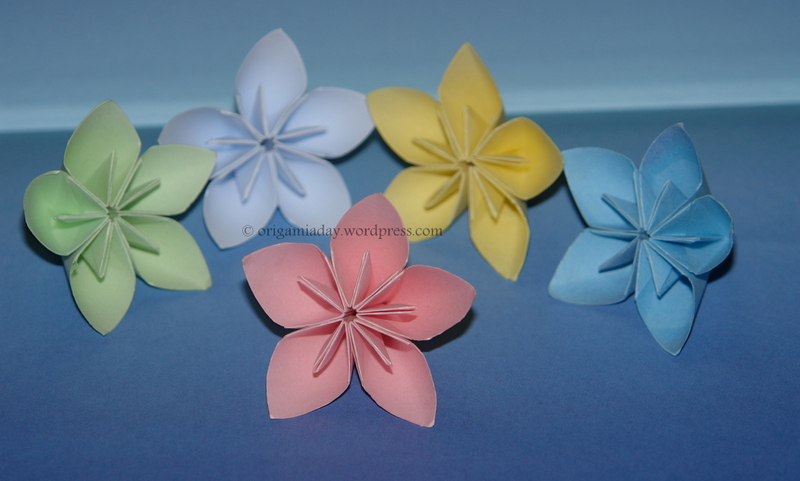 It is made from 5 separate petals that are folded and then glued together to form the flower. 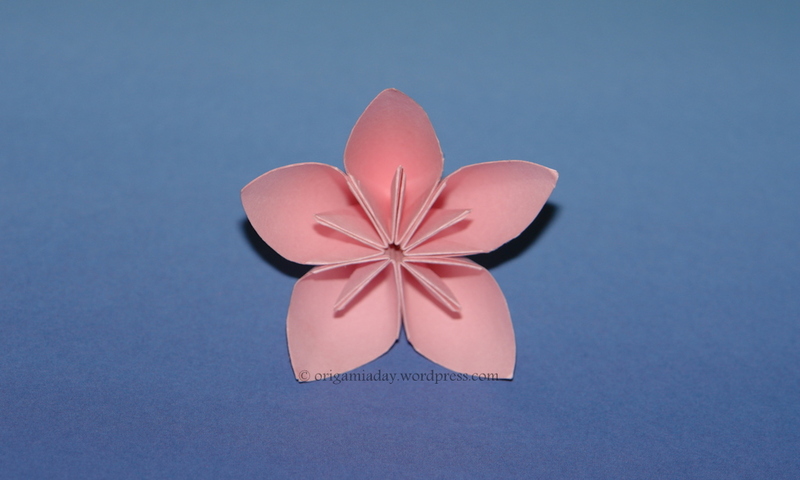 This flower is one of the first origami models I have made but I am very proud of it. I wish there was a flower that wasnt so easy yet easier than the rose which I cant …. you said it’s glued together, isnt origami supposed to not need any binding? To glue or not to glue seems to be a perenial question with origamist 🙂 Check out this article for some thoughts on this question. As for me, if the model is one I like, I don’t mind adding some glue if that is what is required..